The first stage of the activities of Economics Time 2017 is by selecting the chief executor through fit and proper test. 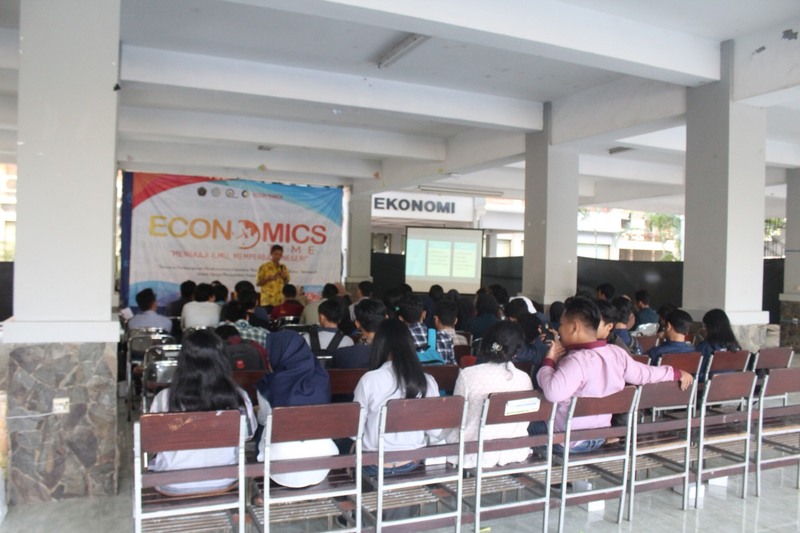 From several candidates, Narendra Maulana Wijaya was elected as the chief executive and approved by the Chairman of the Student Association of Economics. After the full submission of this activity to the Chairman of Economics Time 2017 with several divisions namely: Treasurer, Events, Administration, PDD, PR, Marketing, Transkoper, and Consumption. 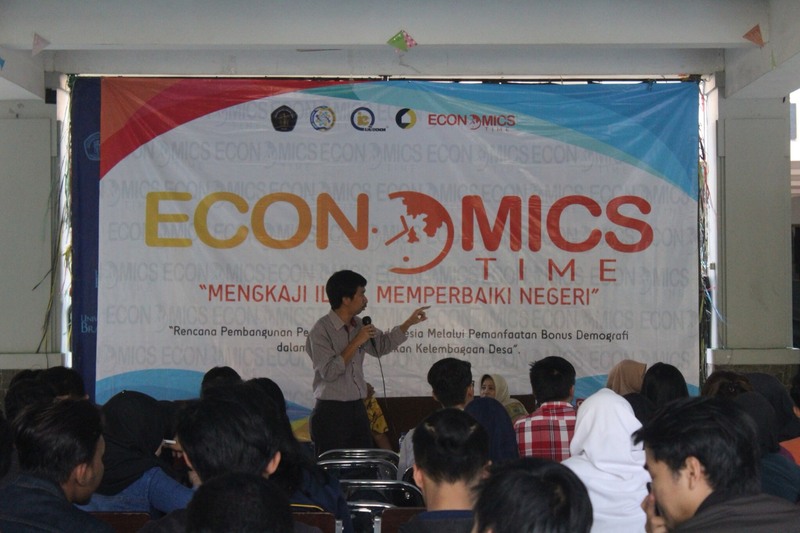 The first series of Economics Time 2017 is a panel discussion held on May 18, 2016 precisely at 11:00 of the event briefing committee for the preparation of the event at 13.00 in Besment of FEB UB. Preparation needed include: tidying the participants’ seats and venue presenters, attendees and attendees at the registration desk, placing the consumption at the registration table, job description division for indoor room coordinator and outside coordinator. After the committee of each division is ready, pray for the activity to run smoothly. At 12.30 start the registration of participants to fill the room while waiting for the event started. At 13.00 the speakers came and entered the venue and the event was opened by the MC, continued greeting by the chief executor, chairman of the set, and head of department. The event took place at 13:00 to 14:30 and then continued with a question session until 15.00 followed by the closing and handover of vandel to the presenters. Conditions in the room participants look conducive, but outside the committee room that no job description crowded and rowdy. The outdoor coordinator admonished not to be noisy. The event finished at 15.30 and continued after the event committee evaluation. 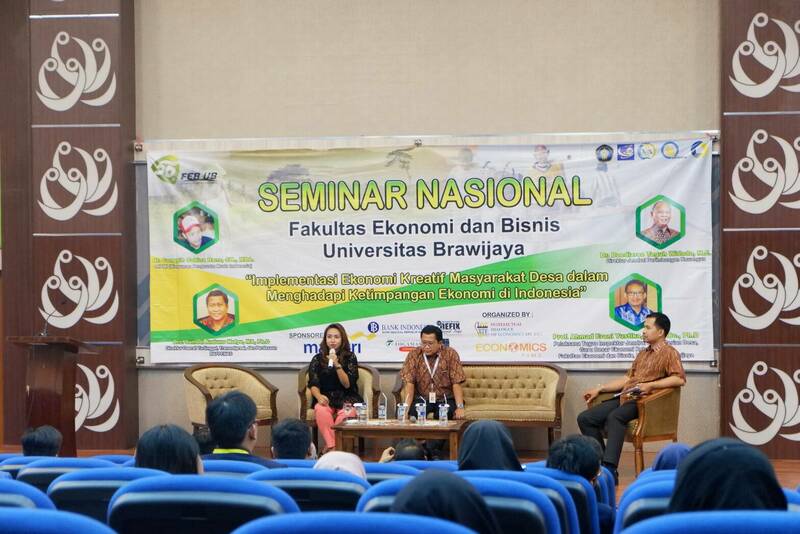 For the second series was held on Saturday, October 14, 2017 at 08.00 – 13.30 in the form of National Seminar which is held in F Building 7th floor of Faculty of Economics and Business Universitas Brawijaya and followed by LKTI finalists and participants who opened for public with the number of participants 227 people. Before the implementation of the seminar, the committee has opened a registration seminar conducted by filling the identity of the online registration form that the committee has provided. With the number of online registrants as much as 213. 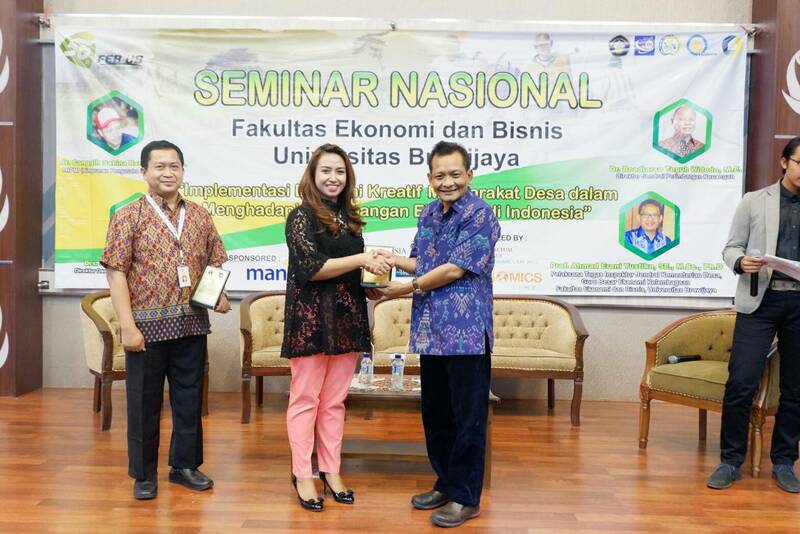 But because it coincides with graduation activities, many participants of online registries who can not attend this seminar event.In addition, on the day terselanggaranya seminar, the committee also opened tickets OTS (On The Spot) for general participants who want to register . 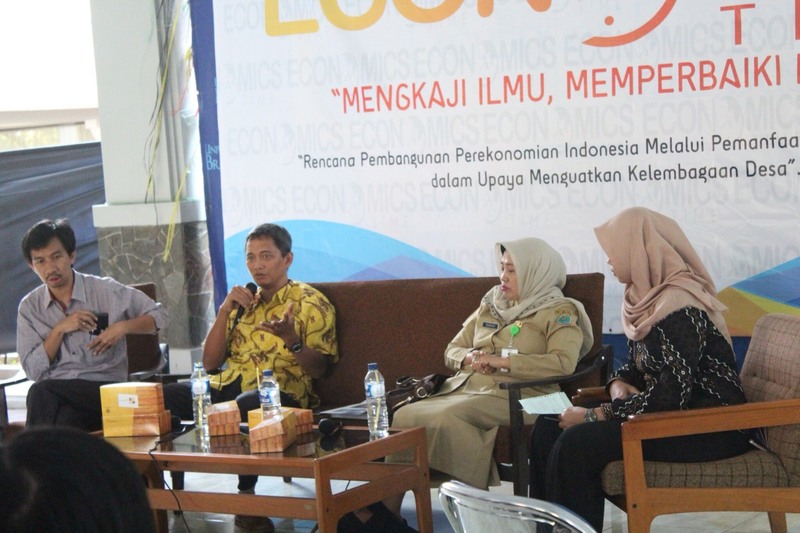 At the seminar was filled by 5 presenters with two sessions of materidengmenema general “Implementation of the Village Society’s Creative Economy in Facing Economic Inequality in Indonesia” with each delivery time of the material for 20 minutes and a question and answer session for 15 minutes. 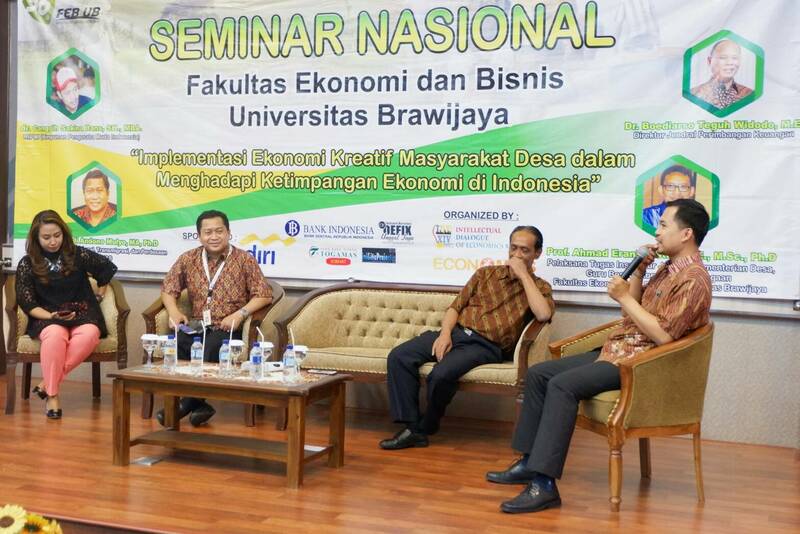 The first session was filled by two speakers, the first by Mr. Prof. Dr. Munawar, SE., DEA he is Professor of the Faculty of Economics and Business Universitas Brawijaya which provides a sub-material explanation of the creative economy from the point of view of the theories that are valid for the second speaker is filled by the Director General of Fiscal Balance named Mr. DR. Boediarso Teguh Widodo who gave an explanation about the policies of the government to support the creative economy in Indonesia. For the second section is filled by 3 speakers, the first filled by Director of Rural Area Natural Resources Development Directorate of Rural Area Development Kemendesa PDTT named Mr. Ari Murti Bagya Suprapto , MA which provides an explanation of the potential of the village that can be used as a supporter of the creative economy, second driver by the Director of Disadvantaged Areas, Transmigration and Rural Ministry of National Development Planning / Bappenas called Drs. Sumedi Andono Mulyo, MA, Ph.D who explained about the transformation and acceleration of village, regional and regional development, the third and final speaker of the second session namely Perwaklan from HIPMI named Dinar Hana Sandriyen Wahyuni, ST. MT which provides an explanation of the role of youth on the development of village self-reliance based on creative economy “. This seminar runs quite well and smoothly, and the material can be delivered well to the audiece.